Whether it’s a new or pre-owned Maserati, our skilled auto enthusiasts will help you find exactly what you’re looking for. Looking for reliable service or parts center serving the New York, Manhattan, Brooklyn, Staten Island or Jersey City, NJ areas? 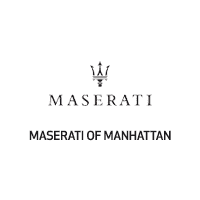 Come on down and get your fix at Maserati of Manhattan today! When it comes to the pre-owned car selection at Maserati of Manhattan, our vehicles don’t have to be fresh off the production line to be high quality. That’s because we go the extra mile in making sure that each and every model that gets slated for sale undergoes a thorough inspection first. You may be looking at a pre-owned car, but it’s certainly new to you. We want to make sure that it looks and drives that way, too. Bring those dreams of a Maserati Ghibli, Levante, GranTurismo or Quattroporte in your garage to a reality with the help of our flexible auto financing opportunities. At our dealership in New York, our team of experts is ready to dish all you need to know about our available car loan and lease options. Stop by today to find the car that’s right for you for a price that’s right too. The fun of something new doesn’t have to end when you drive your Maserati Ghibli, Levante, GranTurismo or Quattroporte off our dealership’s lot. Maserati of Manhattan has many ways to keep your car fresh and your driving experience exceptional. We offer authentic Maserati parts to enhance the performance, style, or convenience of your vehicle. Furthermore, our dealership in New York is dedicated to keeping your Maserati model running just as well as it did on day one. Our handy onsite auto service and repair department is here for you, whether it’s routine upkeep or handling the unexpected. Curious to learn more? Feel free to stop in to 629 West 54th Street in Manhattan, NY, where we are always eager to assist you. We can discuss vehicles here in our showroom, over the phone, or through our website.